Car Care USA is a full-service auto repair and preventative maintenance facility specializing in import and foreign vehicle repairs. Our experts have the knowledge and experience to service and repair the most challenging import and foreign vehicles. "The road will never be the same" Acura is known for producing reliable, economical automobiles. At Car Care USA we keep your Acura running safely and efficiently with regular service, repair, and maintenance. Our mechanics have experience working on Acuras and use current technology and equipment to help you with all of your Acura's service and repair needs. "Audi is Truth in Engineering" Audi's provide high performance, state-of-the-art technology, luxury, and comfort. Here at Car Care USA we love Audis as much as you do, and our experienced Audi technicians know these vehicles inside and out. No automotive repair is too big or too small. You can be sure your vehicle will be repaired right the first time. "BMW is the ultimate driving machine" and in order to maintain your machine, we will treat your BMW like the luxury car it is. Our BMW specialists take pride in their work and are committed to providing the personal care and maintenance a BMW needs to perform at optimal levels. Car Care USA has the knowledge and quality service your BMW requires! "Driven By Passion" Fiats are small cars that live big. Car Care USA makes it a priority to keep your Fiat running safely and efficiently with regular service, repair, and maintenance. Our highly trained mechanics will help you with all of your Fiat's service and repair needs. Our ASE Certified technicians are "driven by passion" and no automotive repair is too big or too small. "The Power of Dreams" Here At Car Care USA, we understand that your Honda is known for safety and performance. Our Honda specialists are committed to providing the personal care and maintenance needed to keep it performing at its highest level. 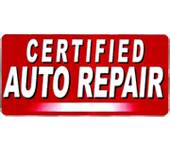 Our ASE certified technicians have the knowledge and quality service that your Honda deserves! "New Thinking. New Possibilities." Since 1947, Hyundai has been providing quality and innovative vehicles for their drivers. The Hyundai specialists at Car Care USA are constantly educating themselves on the latest technology to be able to service and repair your vehicle. If you bring your Hyundai in we guarantee that our technicians will provide quality service to meet the high standard of your vehicle. "Inspired Performance" Infiniti is known for producing performance luxury vehicles. All of the makes and models are built for comfort and drivability. Car Care USA's expert technicians are well equipped to be able to service your Infiniti and treat it with the care that it deserves. Bring your Infiniti in today to improve its performance on the road. "Go Farther" Isuzu Motors specializes in commercial trucks and diesel engines, and is the industry leader with over 20 million diesel engines worldwide. Over the years, their commercial fleet trucks have proven to their drivers that they are built for performance and reliability. Car Care USA's technicians are diesel engine certified and have the knowledge and experience to service and repair your Isuzu vehicle. "Don't dream it. Drive it." Jaguars were designed for performance, and Car Care USA has certified Jaguar specialists who know how to keep your Jaguar running at maximum levels. We keep your Jaguar running safely and efficiently with regular service, repair, and maintenance. Come to the shop you can count on to make sure you can continue to "Unleash your Jaguar." "The Power to Surprise" Kia is known for their safe, affordable and environmentally-friendly vehicles. The majority of their makes and models are fuel efficient and have fewer emissions than other vehicles. Kia's main focus is on green technology and fuel consumption with their vehicles. Here at Car Care USA, we support the latest green technologies and are able to service your Kia vehicle. "Above and Beyond" Land Rover was designed to be strong and durable. The Land Rover brand has lived up to its name over the years and has emerged as one of the best four-wheel drive vehicles. Car Care USA has years of experience working on four-wheel drive and off-road vehicles. We understand what your Land Rover needs to perform at it's optimal level on and off-road. "Pursuit of Perfection" The Lexus automobile is a machine that is well known for its performance and class. If you own a Lexus you understand that you are part of a unique family of luxurious vehicles. The service professionals at Car Care USA will work hard to make sure that your vehicle is taken care of with excellent customer service. "Zoom-Zoom" Here At Car Care USA, we understand that your Mazda is important to you. We will treat your Mazda as if it was our own car and give it the personal care and maintenance needed to keep it performing at its top level. Our ASE certified technicians can provide you with the knowledge and quality service that your Mazda deserves! "Engineered To Move The Human Spirit" Here At Car Care USA, we understand that your Mercedes-Benz is the ultimate luxury vehicle and we have the best Mercedes-Benz technicians. Stop taking chances with the luxury vehicle you have worked so hard to get. Our Mercedes-Benz know-how will keep you driving in the maximum lap of luxury. "Its a mini adventure" Mini's vehicles are produced to be fuel efficient and fun to drive. The Mini automobiles are small, have a better than average mpg and can now hold up to 5 passengers in the vehicle. Car Care USA knows that Mini's should be treated special because they are unique and have their own personality. Our expert mechanics have the tools needed to service and repair your Mini. "Wake up and drive" Here At Car Care USA, we understand that your Mitsubishi is known for speed and style. When you get behind the wheel of your Mitsubishi you "wake up and drive", so our certified Mitsubishi specialists keep your vehicle running at maximum levels. Come to the shop you can count on to service your Mitsubishi in style. "Defy Ordinary" Here At Car Care USA, we understand that your Nissan is built with the most cutting-edge technology. We will treat your Nissan as if it was our own car and give it the personal care and maintenance needed to keep it performing at its finest level. Our ASE certified technicians can provide you with the knowledge and quality service that your Nissan deserves! "Motion & Emotion" The Peugeot brand combines motion and emotion into their vehicles. They are the only brand in the world that proposes that their customers have an integral mobility package with its products. If you have a Peugeot then Car Care USA is the best auto repair shop for you. Our ASE Certified technicians are Peugeot specialists and will keep your vehicle in motion! "There is no substitute" The owner of a Porsche knows that they are part of a special group. A Porsche is a sports car that is built for everyday driving activities. When you get behind the wheel you just can't help but feel that you are about to win a race. Car Care USA has a pit crew that is well equipped to maintain the high performance for your vehicle. "Welcome to the state of independence." Saab vehicles have a legacy of being high quality, innovative, and uniquely designed driving machines. Saab's heritage with Scandinavian tradition is all about functionality and high-tech solutions that make your vehicle fun to drive. Saab vehicles use specific parts from their partnership with Orio AB and Car Care USA can get those parts for you! "What moves you?" Scion is a company that supports and works with motorists who are driven to follow their passion in life. The Scion brand is all about helping people reach their goals in life by working together. Car Care USA understands that you are emotionally attached to your vehicle and because of that, they will treat your Scion as if it was their own. "Confidence in Motion" Here At Car Care USA, we understand that your Subaru gives you the confidence you need to drive safely. We will treat your Subaru as if it was our own car and give it the personal care and maintenance needed to keep it performing at its prime level. Our ASE certified technicians can provide you with the knowledge and quality service that your Subaru deserves! "Way of life!" Here At Car Care USA, we understand that you look at your Suzuki as a way of life. We will treat your Suzuki as if it was our own car and give it the personal care and maintenance needed to keep it performing at its best. Our ASE certified technicians can provide you with the knowledge and quality service that your Suzuki deserves! "Oh! What a feeling, Toyota!" Here At Car Care USA, we understand that your Toyota is all about reliability and performance. We will treat your Toyota as if it was our own car and give it the personal care and maintenance needed to keep it performing at its most ideal level. 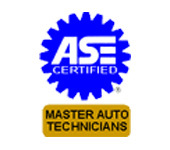 Our ASE certified technicians can provide you with the knowledge and quality service that your Toyota deserves! "Drivers wanted" Volkswagen is for the love of the auto (Das Auto! ), and Car Care USA loves to provide reliable Volkswagen repairs. Keep the vehicle you love running smoothly by letting one of our Volkswagen specialists repair your car right. Our ASE Certified technicians have multiple years of Volkswagen repair experience and know what it takes to keep your lovely vehicle moving. "Volvo. For life." Volvo was designed around you and is the premier car when it comes to safety. You bought your Volvo with your family's safety in mind and our Volvo specialists provide the auto repairs guaranteed to keep your Volvo performing at peak levels. Our ASE Certified technicians will follow rigorous steps to make sure your Volvo is repaired the right way. For questions about your import or foreign vehicle, contact us at 832-595-6666 or send us an email. Our experts will help determine what needs to be done.